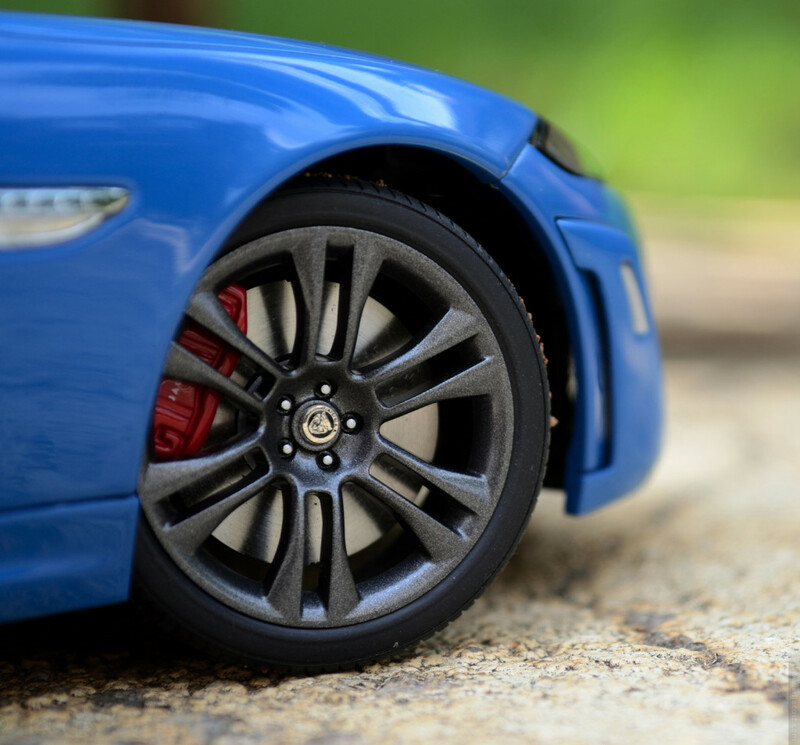 British Automobile maker Jaguar produces some of the best luxury cars… But they also makes some special edition models that are performance oriented! 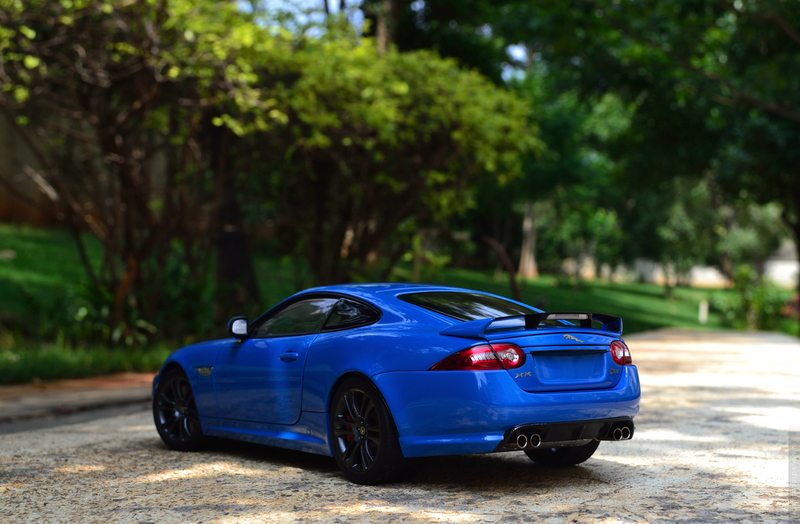 One the very well know model is this XKR-S, which produces 550hp form a supercharded 5.0l V8 capable of reaching a top speed of 186mph. 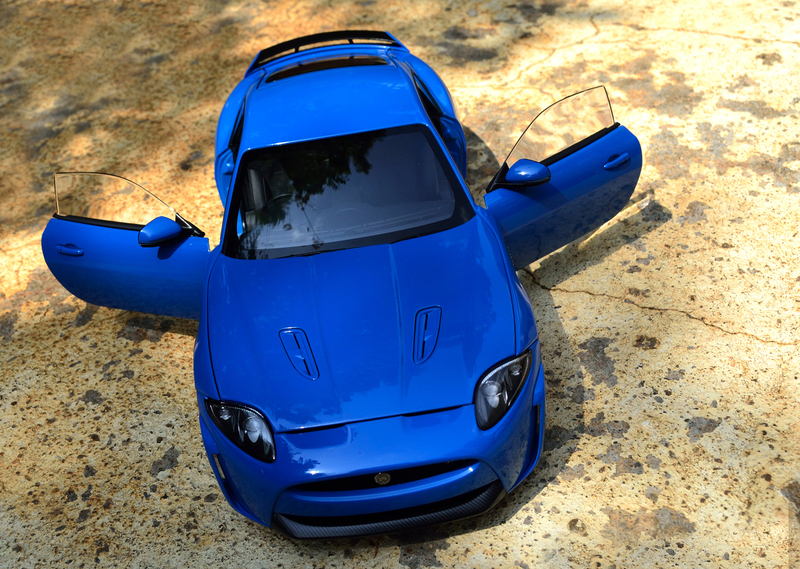 This Jaguar XKR-S is distinguished from its other XK coupe with a host of body kits on both outside and inside. Even the paint finishes available in this model is also so unique to this model only! Ride height is lowered by around 10mm and the sound track from those performance active exhaust is exhilarating! 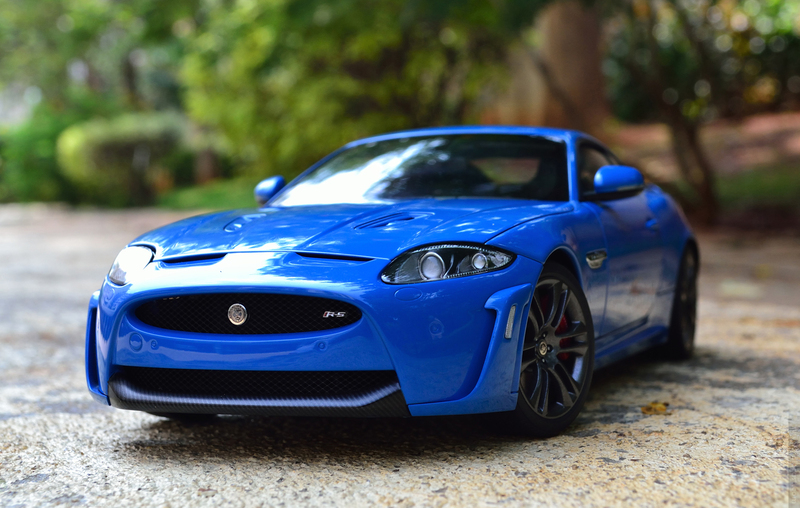 AUTOart being a high-end diecast car maker made this Jaguar XKR-S with all the possible bells and whistles under its capacity! You cannot expect signature series level detailing because its positioned in “Performance” series, but keep in mind this is an AUTOart nevertheless. This British beauty comes in two colors namely this “French Racing Blue” and “Italian Racing Red”, though I was thing of getting the red later changed my mind when I saw this Blue in real! I would say the Italian Red is sort of an elegant red and this French Racing Blue is a die hard sporty ride. Italian Racing Red looks Elegant and French Racing Blue shouts Performance! I got this 1:18 diecast model way back and did an unboxing then(click here if you are interested) I was into too many other activities so couldn’t review this, which I was itching to do! So here we go. 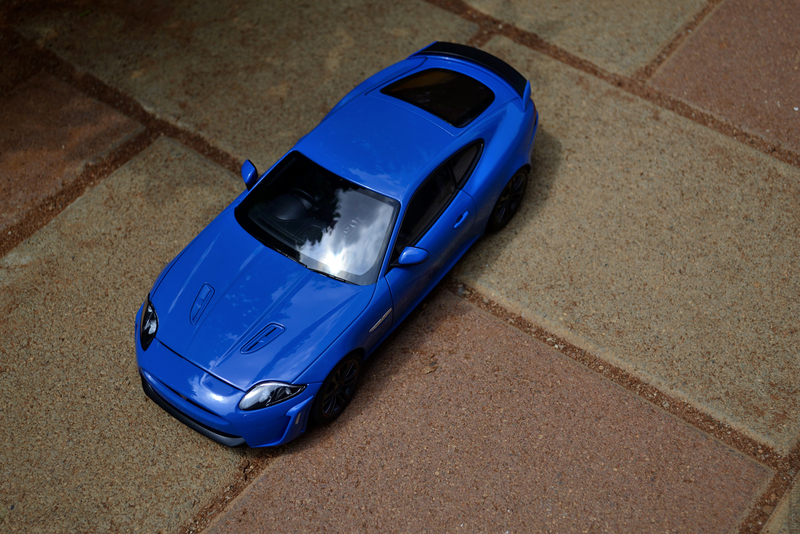 I got myself this 1:18 AUTOart Jaguar XKR-S as a gift for my birthday! So this holds special value so a lot of work went into the research before this model could be finalized! On the day of acquiring this I was excited as hell and almost went speechless for few minutes after unboxing! I did few round of inspection and could not find any flaws but this is the case with any AUTOart as they are well made. AUTOart models are know for those minute details even in its basic series so we can have a lot of fun digging bits after bits to talk about! 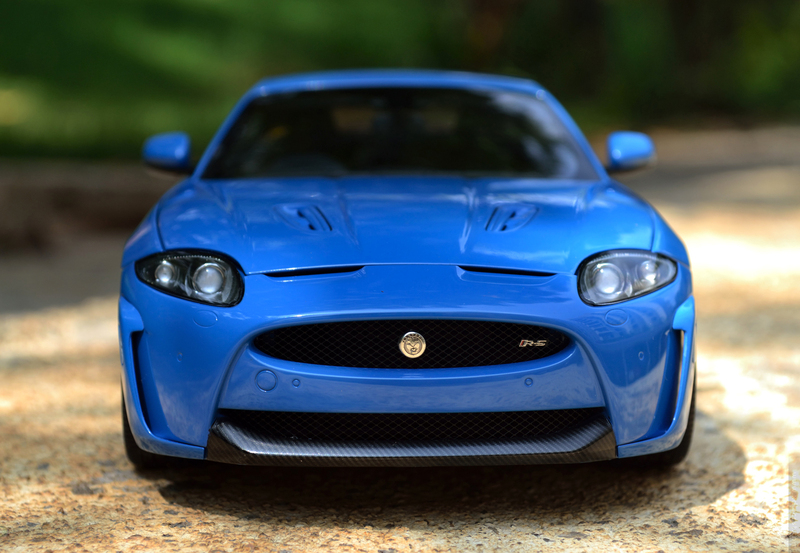 The front end of this 1:18 Jaguar looks aggressive and real to the point! I could say this with confidence because I had the privilege of seeing this beauty in real too! That is the other reason why I picked this color over the other red. Body work is top class so as the shutlines!! 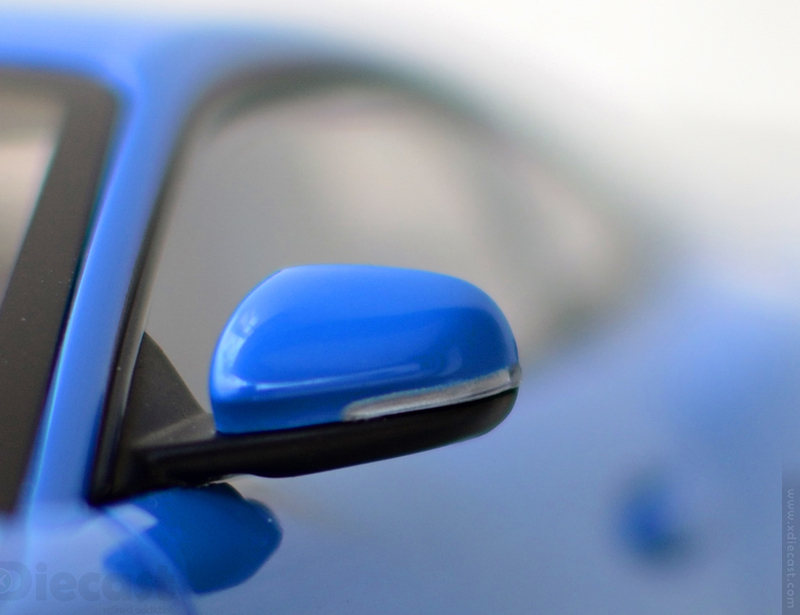 First thing that you would admire is its paint finish… the color representation is accurate, finish and gloss is up to the mark, there are no smudges of any type and finally the smooth finish is very nice to touch just like a real premium car. Coming back to the shutline, the gaps between the panels are almost perfect! ALMOST because there are few places where I could find uneven gaps but not to the level of a deal breaker. The most evident shutline issue is near the head lamp cluster, which can only be spotted if viewed under a magnification glasses like me! 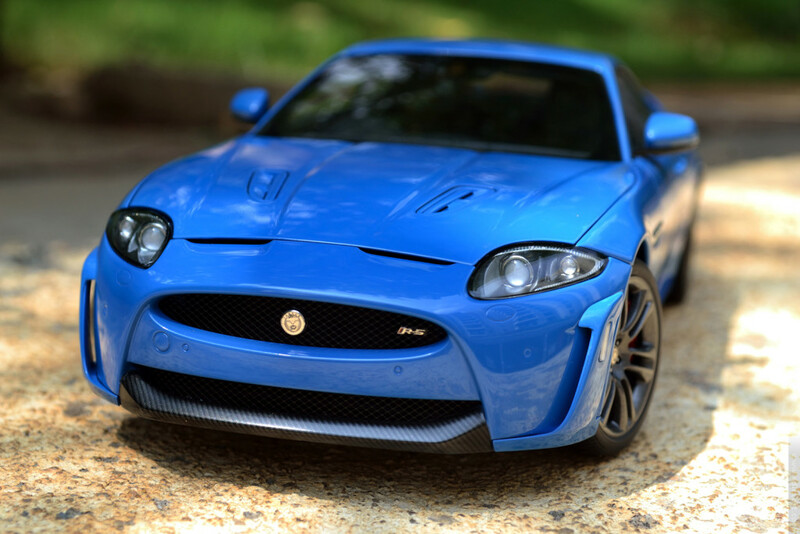 Ok, lets discuss some of this AUTOart Jaguar’s pros and cons in the exterior details department! 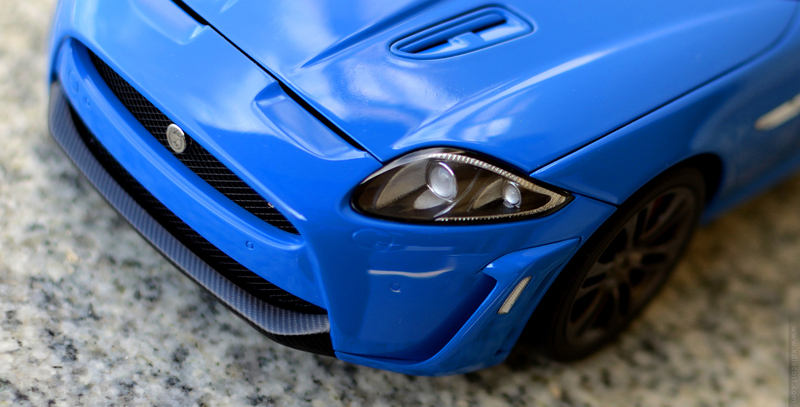 Lets start with the head lamp… Just like many other AUTOart 1:18 diecast model, this Jaguar XKR-S also has a very detailed head lamp cluster that houses projector elements, blacked inlines and the sexiest LED DRLs that takes this Jag a notch above its competitors! 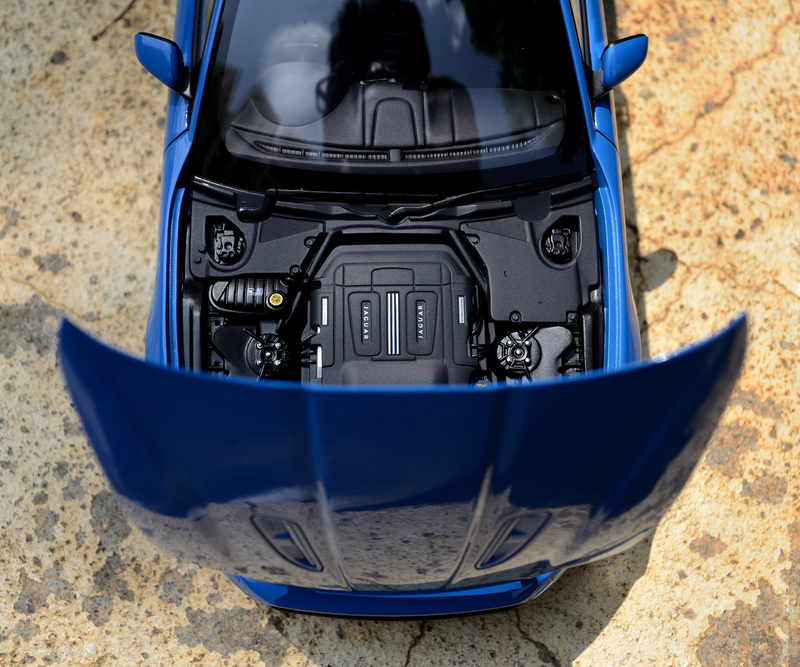 Also note those gorgeous air intake vent in the hood, which are see through and sports some detailing to show depth. 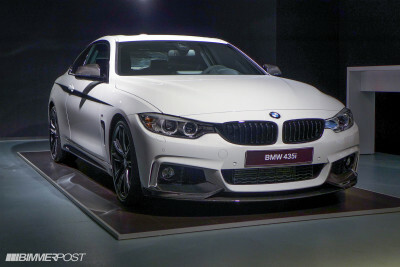 The front grill is also an master piece because the grill is in its actual design and also a pass-tru type. 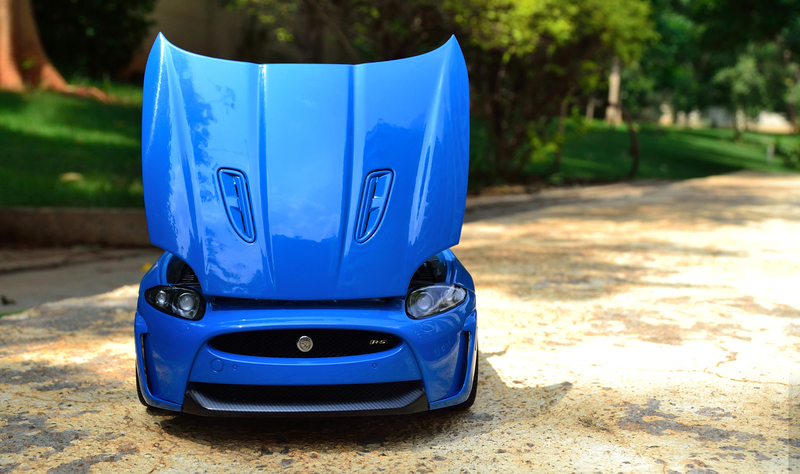 Don’t miss the carbon fiber lower lip and those sleek monogram carrying the Jaguar Badge. I also like the front skirts to pull air to the wheels area to cool the brake pads. Wheels are finished in a sort of gun metal shade and they look premium! 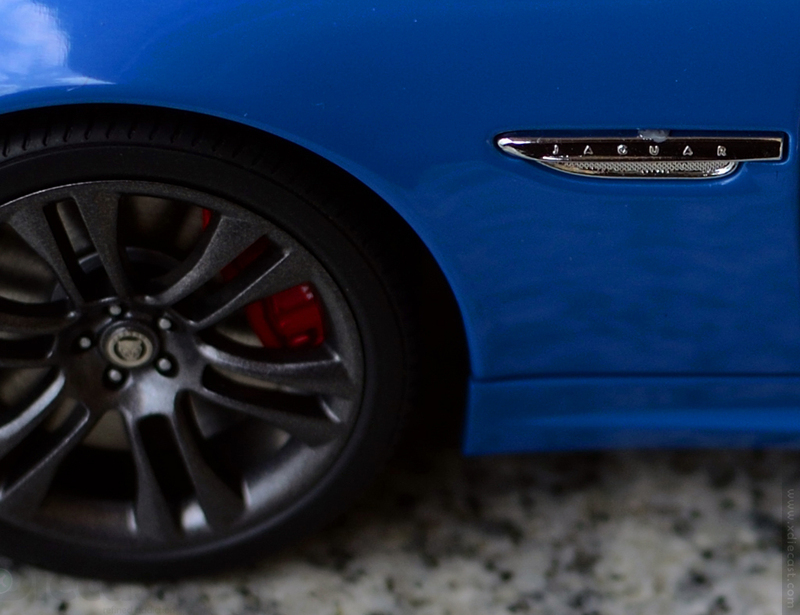 The hub also has a nice Jaguar Monogram but the details are not top notch if inspected under a microscope! The disc brake calipers are finished in red and the detailing on them are much appreciable! Disc on the other hand is done in a simple yet elegant way to enhance its personality. 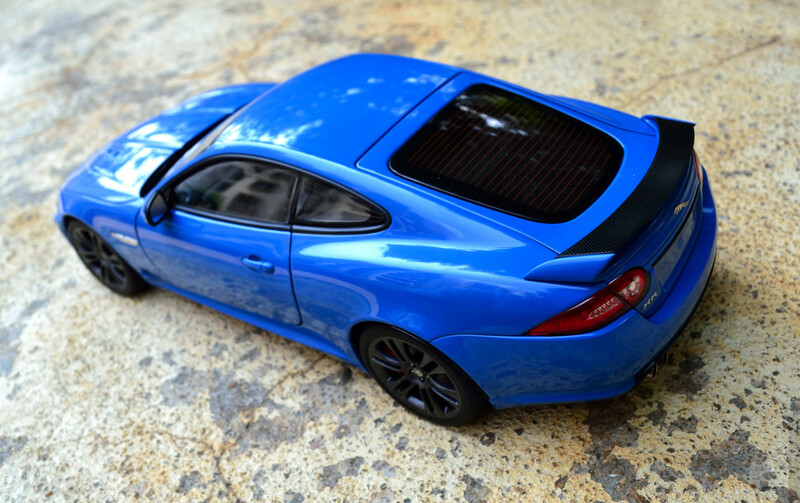 One of the most visually distinguishable difference between this XKR-S and XKR is this rear spoiler! The shape is nice the upper part is finished in carbon fiber and the lower part is body colored! The spoiler also has a brake lights under the spoiler and the details are nicely done in clear lense pattern. Also worth mentioning is the rear defogger details that along with the rim lines enhances the rear. 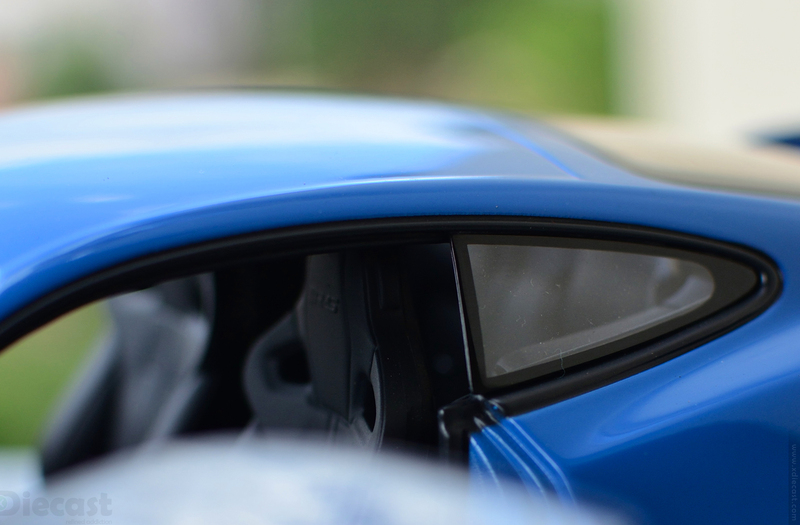 The wind mirror detailing is top notch and the turn indicator integration is a nice touch. 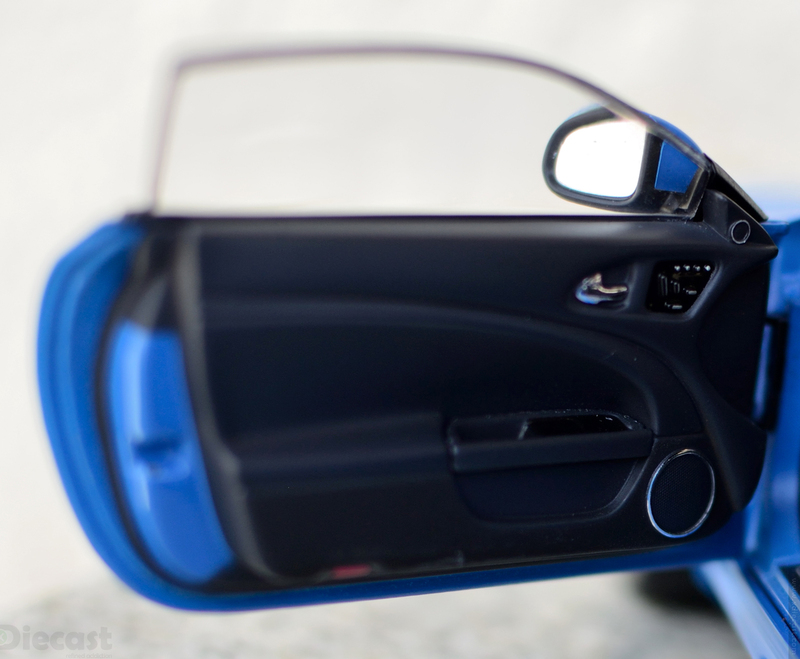 Look good with the doors closed or opened, thanks to the tight shutline and material used. The black lower part is cleanly painted without any smudge. The only upsetting bit on the outside is this embellishment on the fender, which is not as per the original car(French Racing Blue car has this in black color not in chrome) and this grude glue patch that spoils the party big time! 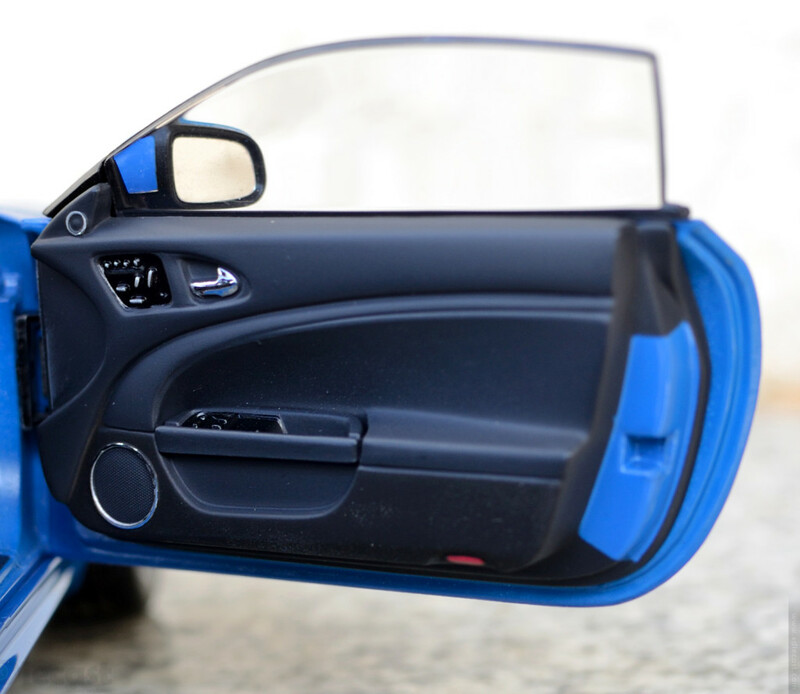 This AUTOart Jaguar comes with a wide opening doors that lets you peep in a little more than what you can with the other models. I do feel that the open angle is not consistent(may be I got a model with this issue) and look a little cheap if displayed with its doors opened! I kind of feel that AUTOart should give a door opening tool along because the door opening is a bit tricky as the shut line is sleek and the door is fully rolled up. I use the door handle open the door but I always get whiplash with a fear of scratch or pain peeling! The glass looks a little bulky but they are clear as crystal to give that high end look! Another good thing about this doors is the thump that it gives when closed and the spring action! I love the interiors of AUTOart diecast models and this one is no exception! The doors has details like the chrome treated lock handle, piano finished inserts and speaker vent detailing with chrome surrounds! Also check the door open warning lights and that mini tweeter(I guess) near the wing mirror. 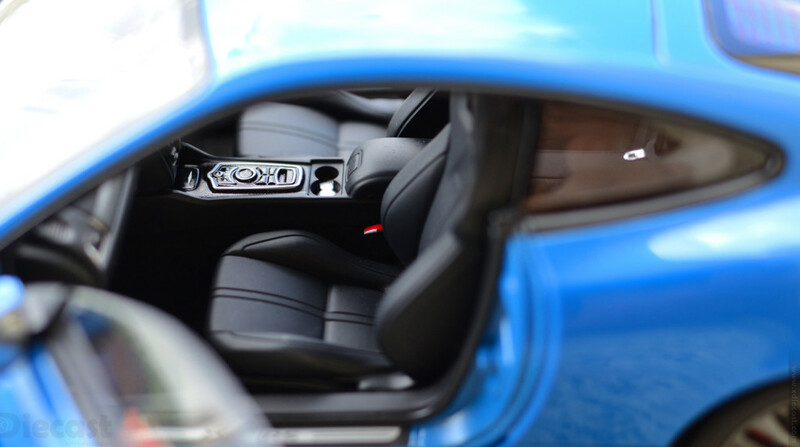 This XKR-S being a British car comes with a right hand drive system! I kind of feel this a little closer to home as I am so used to this setup in real world! As with every other AUTOart models this steering also has some sleek details like the controls and the Jaguar Logo right in the middle! The dash is slightly sticker like but not so obvious! I also like the carbon fiber inserts in the left side, which add a bit of premiumness to the otherwise boring piece. The AC vents with aluminium details looks classy and gives a dash of relief. The upper HVAC vent is also nice touch. Don’t miss the RS badge on the headrest which I call attention to details. Bravo AUTOart! 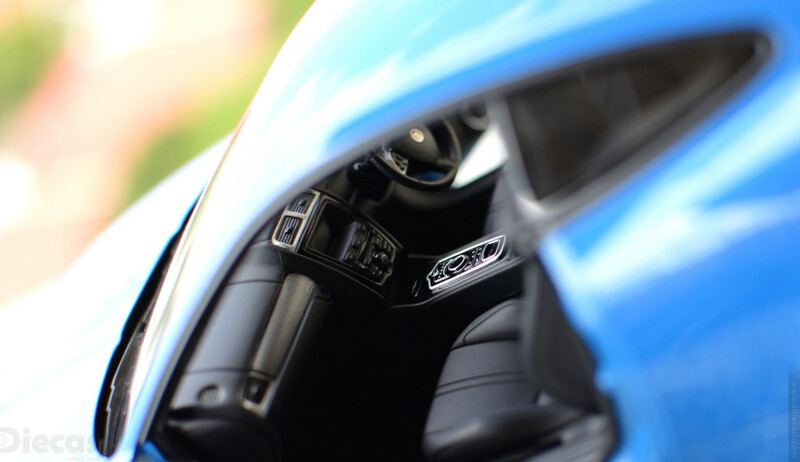 When it comes to premium diecast models the interiors and attention to details scores high! And this Performance series AUTOart gets a decent score for its interior effort. The different material used (or finished) goes a long way! I personally love the center console that is detailed in a sort of a piano finish and the aluminium/chrome lining and fonts for buttons. The disappointing bit here is the center console and the infotainment system display, which is blank and boring! 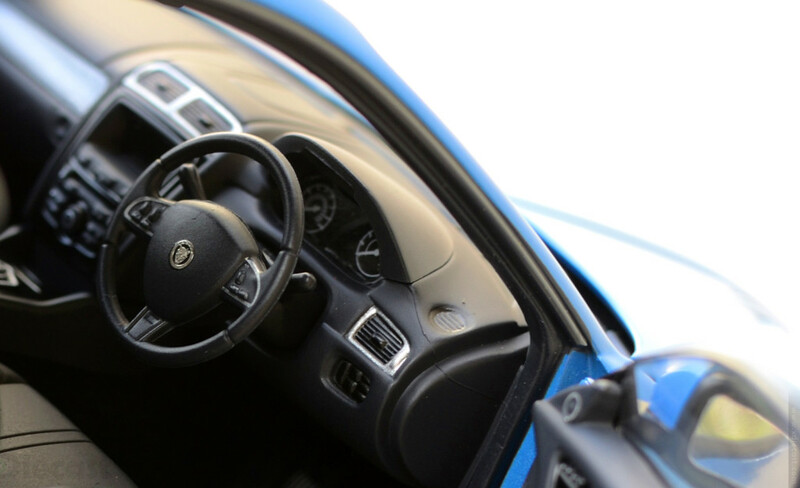 This part of the interior would have got a booster jump if AUTOart would have added a satnav screen to it! I guess the AUTOart team when given access to the real Jaguar XKR-S was in switch off! 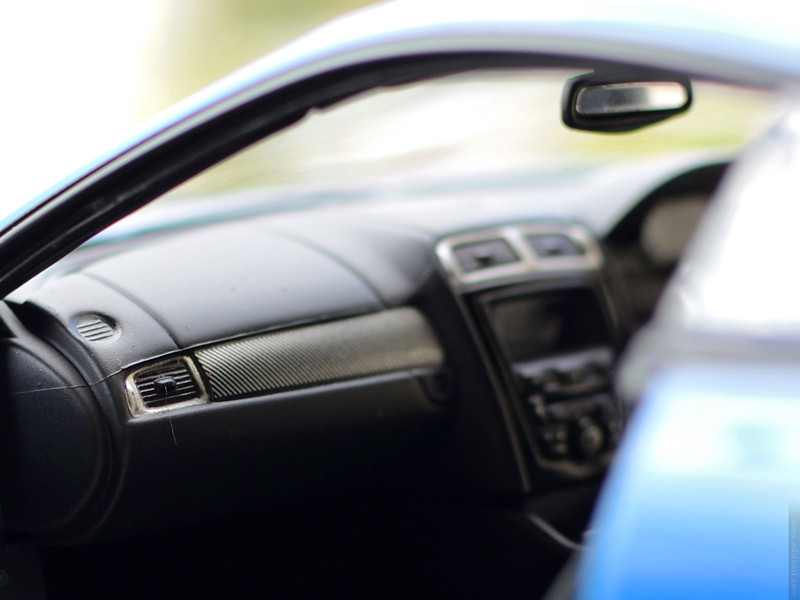 Why the center console where the dial for controlling the infotainment system is also in matching off state. I love the seat treatment in Kyosho diecast models! Thanks to the leather like texture and bright color scheme that contributes to this feeling! AUTOart is getting there with its Signature series but these Performance series will take some time I guess! Here the seats look plush to look at and you would not believe its plastic! But this changes if touch and feel it… Its not hard plastic but a rubberized version of the same! The stitching details are cool and shape is accurate! The center armrest is a nice touch but its the cup holder in the center console take this interior to a next level. Don’t miss the seat-belt buckle finished in chrome. 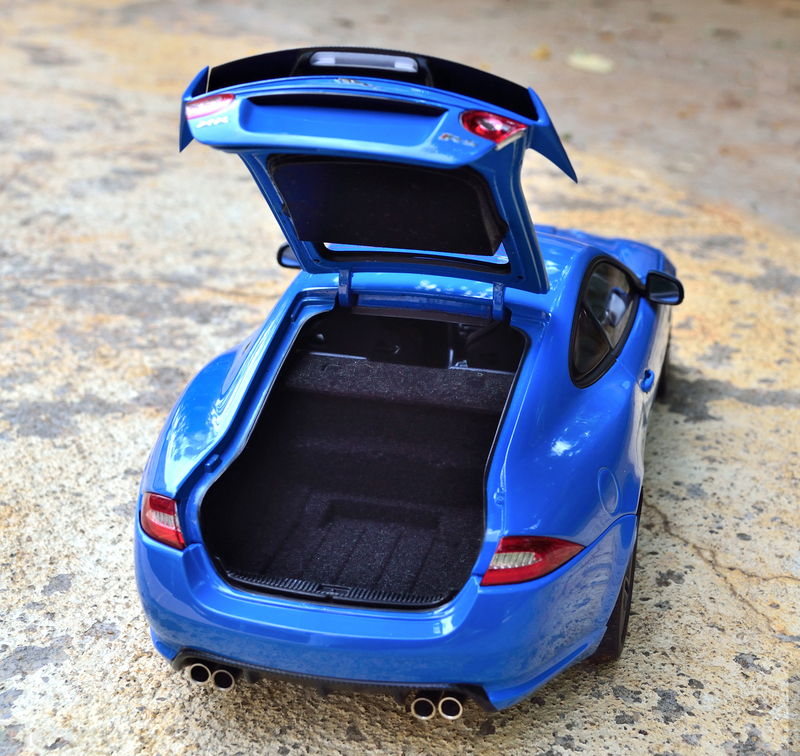 This Jaguar XKR-S comes in a coupe body style so it has this huge rear boot door that is not just huge but also nicely detailed! Because the boot opens up quite wide, it ave me full access to the boot interiors! Yes the interior of the boot is nicely done in soft texture with accurate groves on its floor. What I hate about this boot is the hinge mechanism that is pretty old school! The bonnet/hood opens up in a sort of old fashion adding more class to this beauty! With the bonnet opened the front resembles one a garden lizard freaking its pray! You would be presently surprised by the details that the engine casting and the plumbing has! The prominent engine cover sits and hides most other details but the cover itself is nice and detailed Jaguar monogram on two side finished in chrome! There is also a supercharged monogram on the extreme end which is nice and readable though tiny! Also check the yellow fluid cap that is super cool and it even has some graphics that represents the fluid that is to go in and also some maintenance instructions(though not readable). There is an other filler cap which is has black cap that seem to be filled in with water! 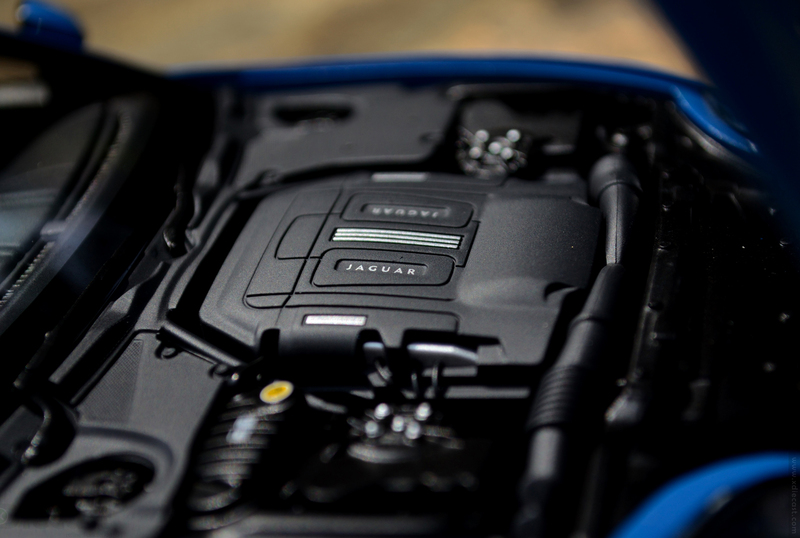 Apart from these details the part are finished of in different materials giving some visual relief to this otherwise all black engine bay! I kind of hate exotic car’s underbody! Because in real cars the underbody is fully covered to reduce the drag that is created from below! But this is not one of those cars where the under body is fully covered not poorly done for the sake of just doing them! The under boody show full exhaust system with chrome tips. 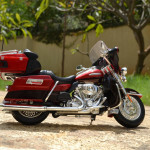 The transmission system is and the drive shaft is visible and are worth taking note! Even the fuel tank is nicely done. The suspension system connectors are finished in nice aluminum shade. Over all nice one and visual treat for a Performance series diecast model! 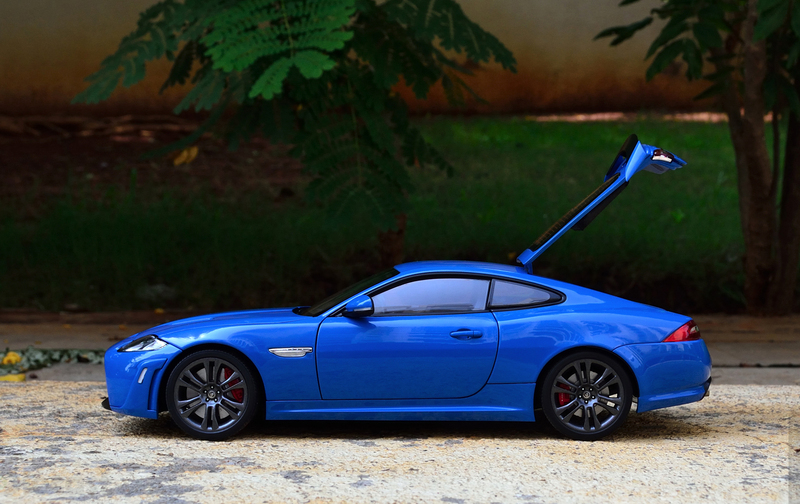 As mentioned earlier this XKR-S comes with some class leading features and some sick yet sleek body kits! 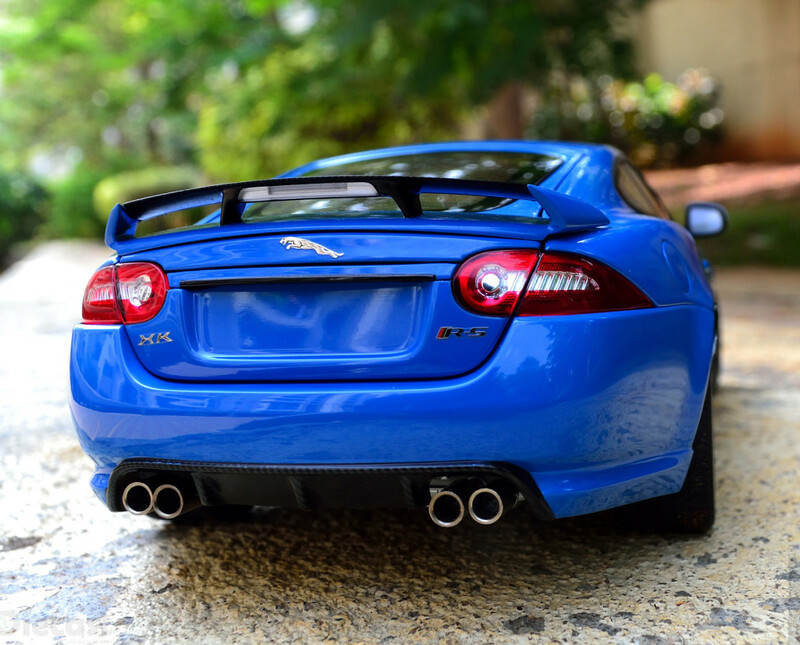 To provide that extra feel of performance this Jaguar XKR-S comes with some special exhaust and the sound is pumped via 4 chrome tips! AUTOart had captured this in its full glory! 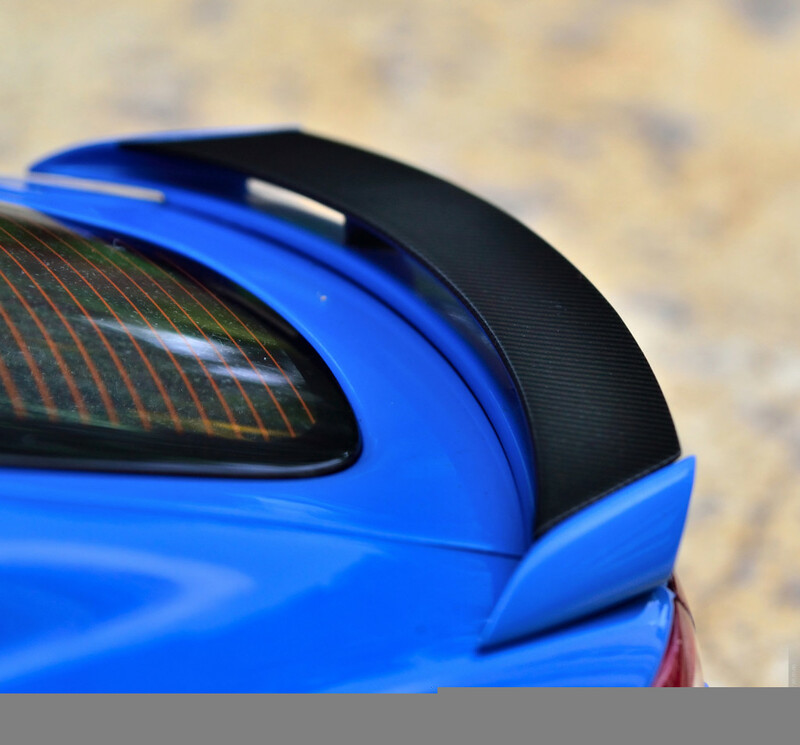 The lower lip spoiler is finished in carbon fiber material adding some more class! The XK and RS monograms are nicely done but I feel AUTOart can do better! The full size Jaguar logo is top notch though! So we have reached our final phase to accumulate and analyze the data and deliver a verdict! 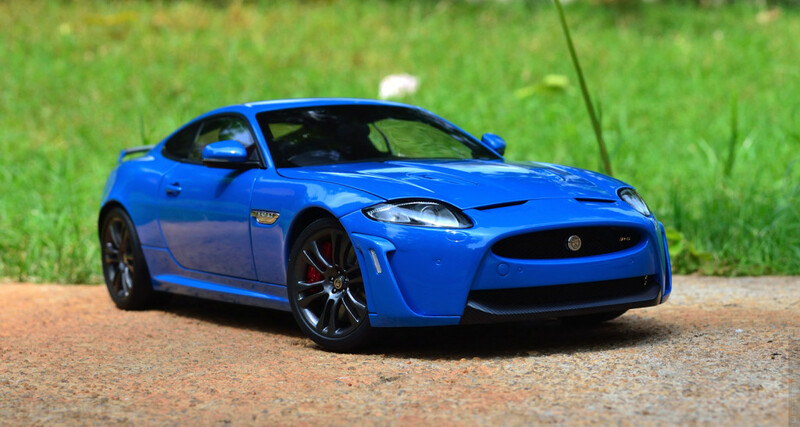 This Jaguar XKR-S Coupe being an AUTOart, the criteria are set a little higher but they are all(mostly) meet by this 1:18 diecast model without much fuss! Paint finish, body work, interior and exterior details and attention to details are some places this model scored some valuable points… And the only place where I saw this Jag struggled are those finishing touches like the glue smudge and the logo detailing! Yes I do know this is just a Performance series not a Signature series but at this price point collectors would expect all the bells and whistles! So I give this handsome British Boy a near perfect score of 4.5! Hope you loved reading through this review, do let me know if you want to see anything new in my review! Ciao!! what a fantastic review! 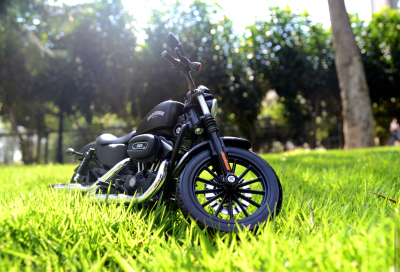 definitely confirms that I made the right decision to buy one of these lovely models for myself! can’t wait to receive it!